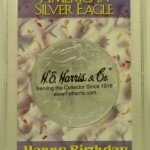 As a coin collector and enthusiast, there may not be a better coin display case to celebrate with than the H.E. 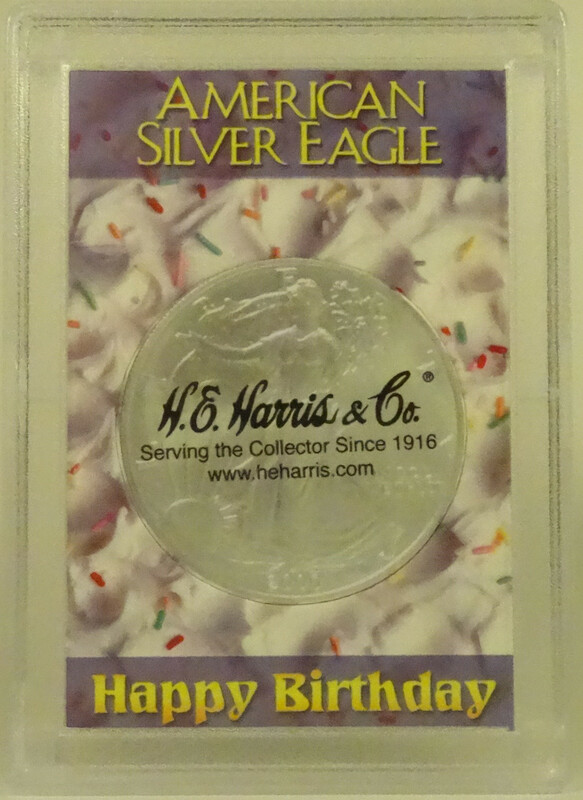 Harris Frosted 2” x 3” Happy Birthday Case for American Silver Eagle Dollars. This coin holder allows you the opportunity to celebrate a loved one’s special day by setting him or her up with their very own birthday coin collection. This functional, handsome and durable tool is a great way to start a coin collection out for your child or grandchild. Best of all, because the price is so affordable – only around $0.99 — you can plan ahead and buy several years in advance. 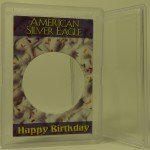 These archival-safe and PVC-free materials are great way to display and store your collection of U.S. American Silver Eagle Dollars. Their value also will remain intact because your coin will be displayed in tightly-sealed case that will protect it from the dirt and elements. The H.E. 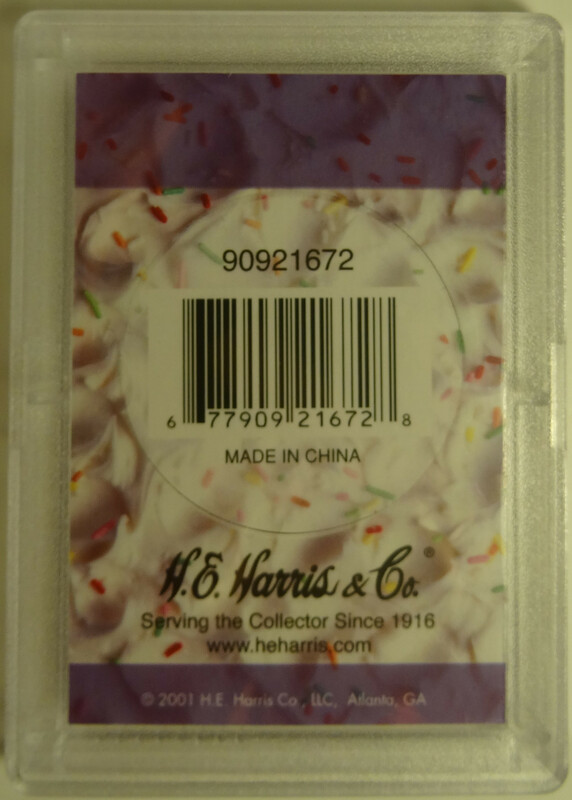 Harris Frosted 2″ x 3″ Case for American Silver Eagle Dollars – Happy Birthday is a beautiful and unique way to present, store, and protect your coins for years to come. The snap-together design holds your coins securely in place while the frosted and beveled edge elegantly sets off the artwork surrounding the coins. The case measures 2″ x 3″, and will hold 1 coin displayed with a Happy Birthday greeting. H.E. 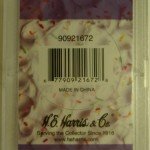 Harris model #1672. This H.E. 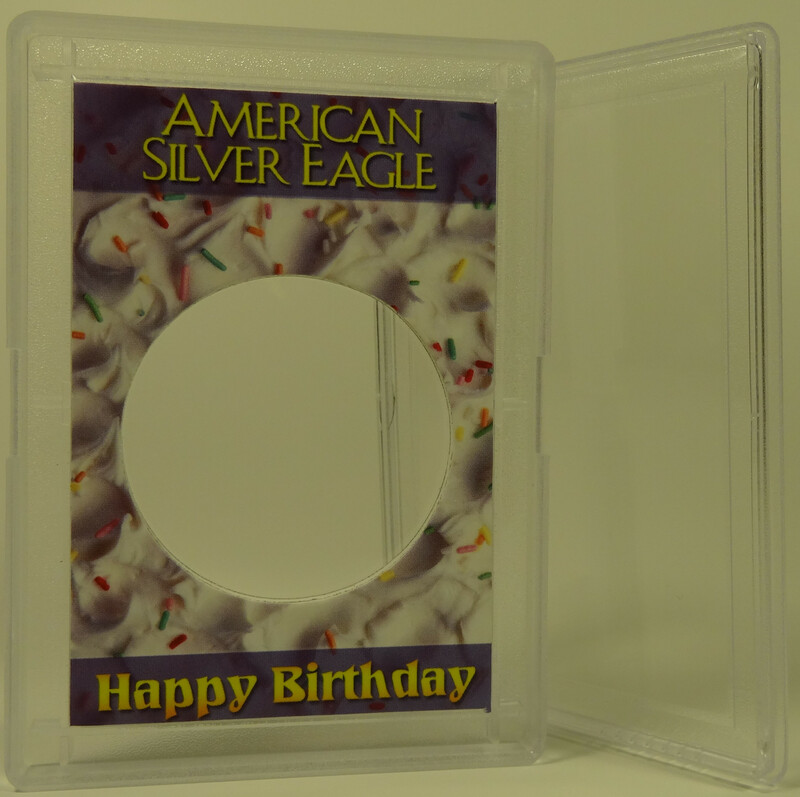 Harris Frosted 2″ x 3″ Case for American Silver Eagle Dollars – Happy Birthday allows your coins to be displayed while sealing tight for long-term protection against handling or the elements, which helps maintain their value.